We promise that our love of horses will shine through with the superior care we provide. Our stables and staff are friendly, not fancy. Horses are turned out daily for grazing (weather permitting). They are fed hay and grain twice a day. You are responsible for providing any supplements you desire; we will administer them at no extra charge. 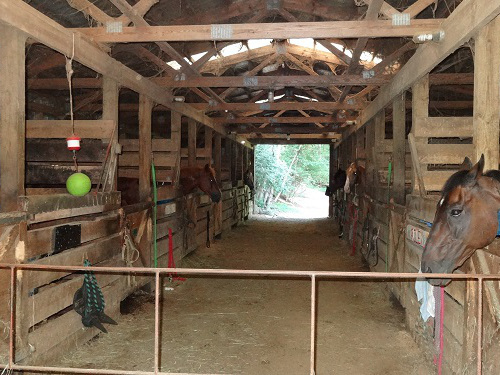 Stalls are picked daily and stripped weekly with new sawdust bedding. We have a blacksmith who visits regularly. You are welcome to use your own blacksmith as well.